This post contains affiliate links. Furthermore, the tee and necklace were sent to me by Darling South. As usual, though, all opinions are my own. If you read last week’s H54F post, then you know that I got in some new items from Darling South. 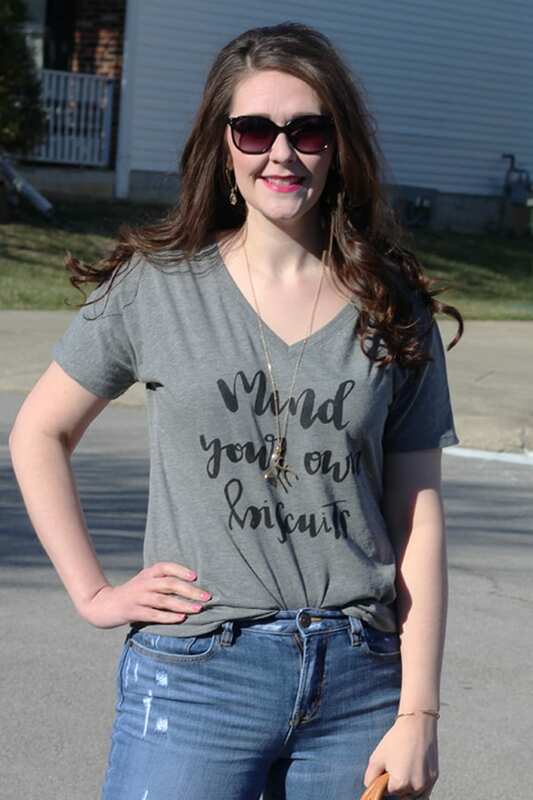 Darling South is a sister company to Kentucky Brewed Tees, and the tees are actually handprinted by KBT! Darling South has such cute southern style pieces. 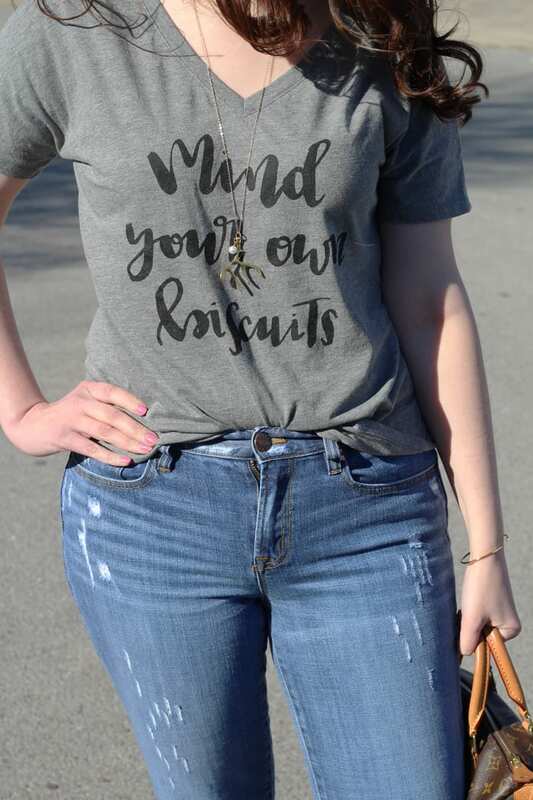 Two items I absolutely adore from my box of goodies are this “Mind Your Own Biscuits” tee and the Designs by Ali Rose antler necklace (styled with a dressier look here). 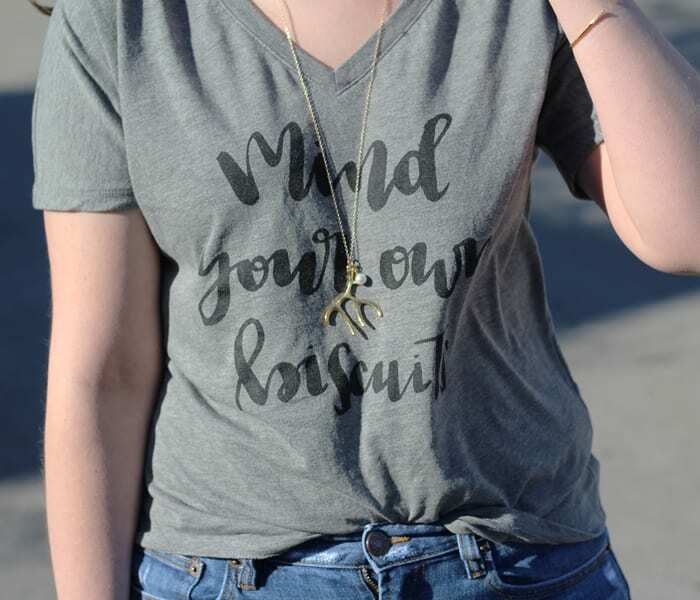 The Biscuits tee is relaxed fit. I’m wearing a small here. 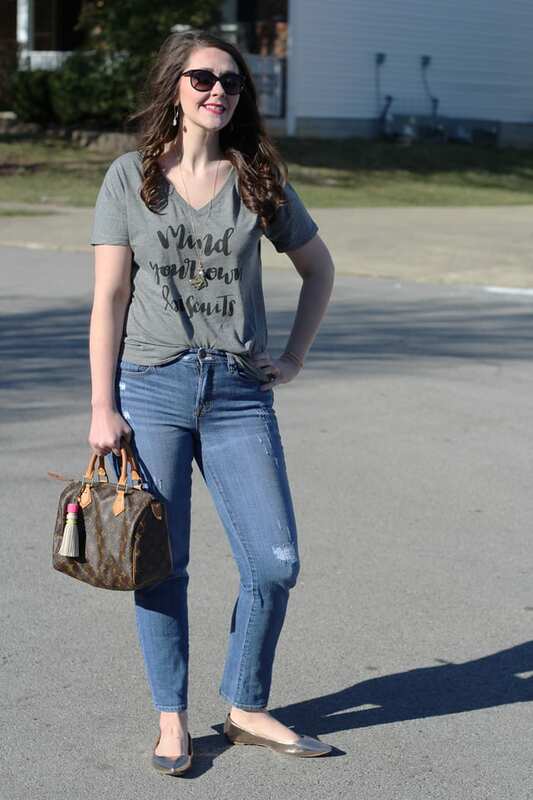 I paired it with distressed denim, because ripped up jeans are so in for spring, and then did a quick tuck in front to give the relaxed tee a little definition. I’m also loving gold + gray paired together, so I accessorized with the antler necklace, Kendra Scott earrings, and gold flats. Finish the outfit with a pop of hot pink lipstick, some oversized sunnies, and your favorite bag. By the way, the tassel on my Speedy is actually a $5 Target deal! 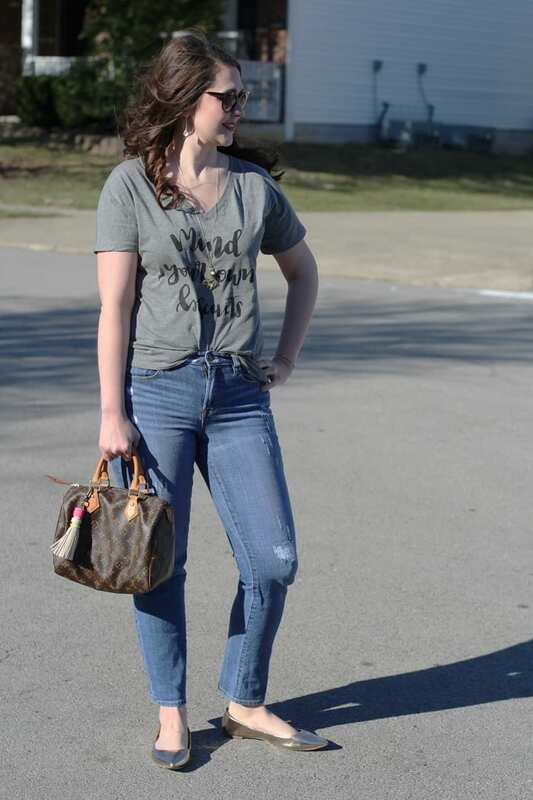 How are you dressing up your tees for spring? 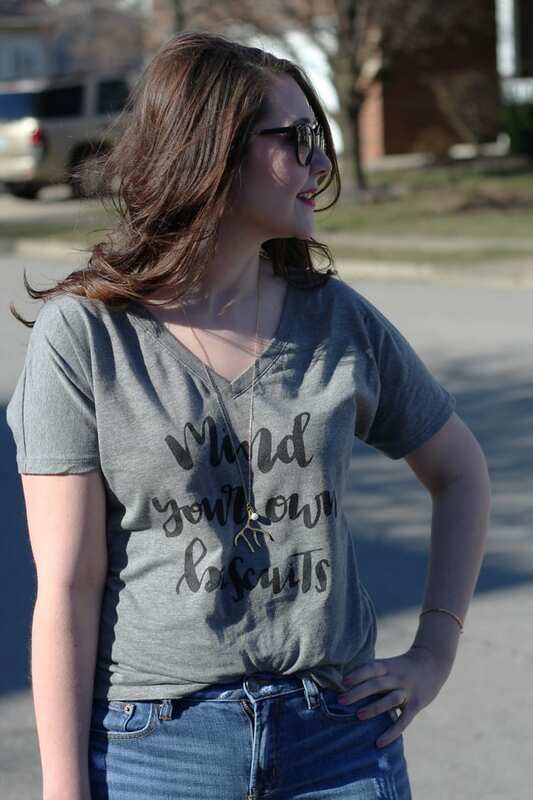 Also, this month’s How I Style It linkup for March is all about team colors and goes live at midnight EST tonight!